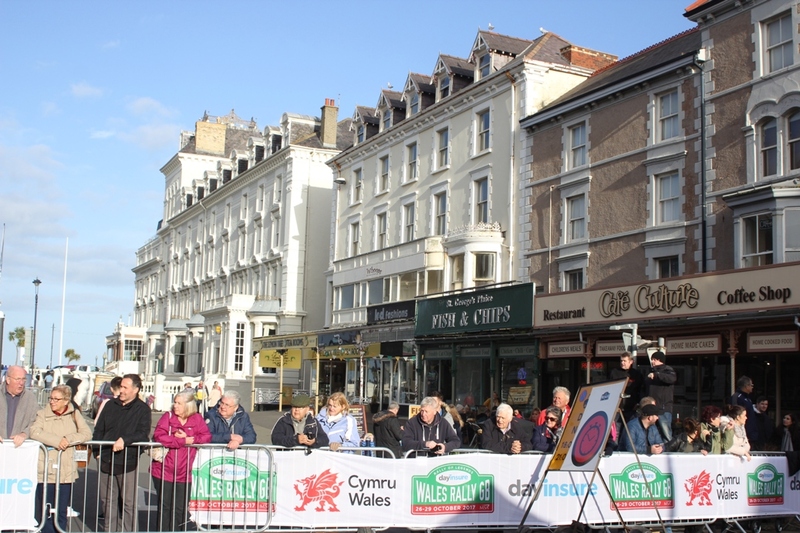 At the Arrival Control before the Rally Finish in Llandudno on Sunday afternoon, the crews had anything up to 20 minutes to hang around kicking their heels waiting for their due time. Most of the big teams were aware of this and had dispatched staff members to feed the crews with cereal bars, salad sandwiches, fruit and soft drinks. I think it was Craig who spotted the chippie first, but he had no money in his pockets (typical) so Kris gave him a handful of crumpled notes. Craig vaulted the barrier, jumped the queue and returned with two carrier bags full of steaming hot succulence for the boys. 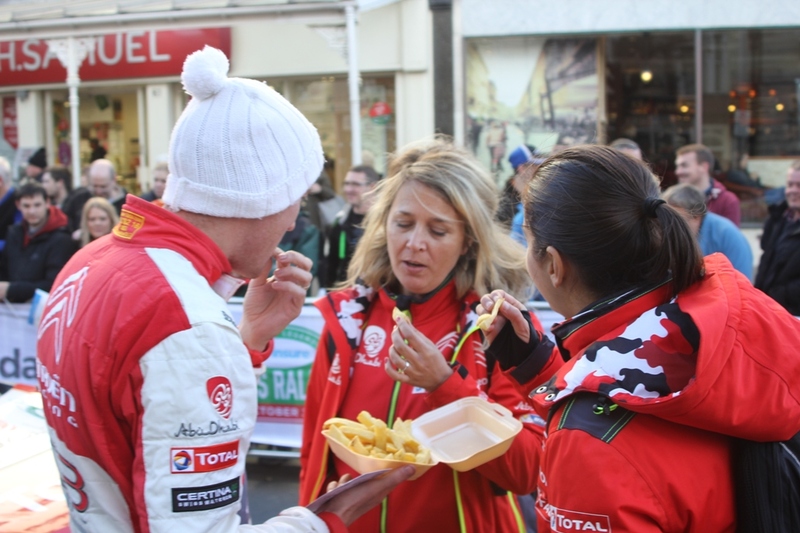 The two DS girls looked rather bemused by this Welsh delicacy which the lads were tucking into with the greatest of relish accompanied by noises of great joy having been deprived of such 'comfort food' in the run up to the rally. There was however a serious omission in the Welsh recipe according to Kris - no fritters and the sausages were naked!